Get the most out of your bicycle by taking advantage of learning opportunities from us and our partners. Whether you’re looking for basic bicycle riding instruction, maintenance skills, winter riding tips, or looking to move up to riding on city streets, we have ongoing opportunities to help you get the skills you need. You can find our upcoming events here. Additional learning opportunities can be found through Bicycle Nova Scotia’s list of Can-Bike instructors, MEC, the Dal Bike Centre, Bike Again, and the Halifax Regional Municipality. These organizations have events on a regular basis – please see their websites for the latest events and registration information. If an event doesn’t work for you, check out the how-to guides from Cyclesmith. The Halifax Cycling Coalition offers two versions of an Intro to Urban Cycling course, one that is open to everyone and one that is open to women, trans, and non-binary individuals who want to learn in a safer space. We teach you all of the basics for getting comfortable on your bike and then we head out to a nearby parking lot to practice on our bikes. You need to bring your bike with you, and if you don’t have one just let us know in advance and we can arrange a rental bike for a fee. Upcoming courses will be posted on our events page. If you would like to schedule a private session for your workplace or community group, please contact us. We provide Lunch & Learn opportunities for you and your colleagues to gain the skills needed to ride in Halifax. Please contact us for pricing and availability. Where can I fix my bike for free? You already have the skills, and the time. But your apartment has no room for tools, or your house is far away and you need to adjust your brakes. 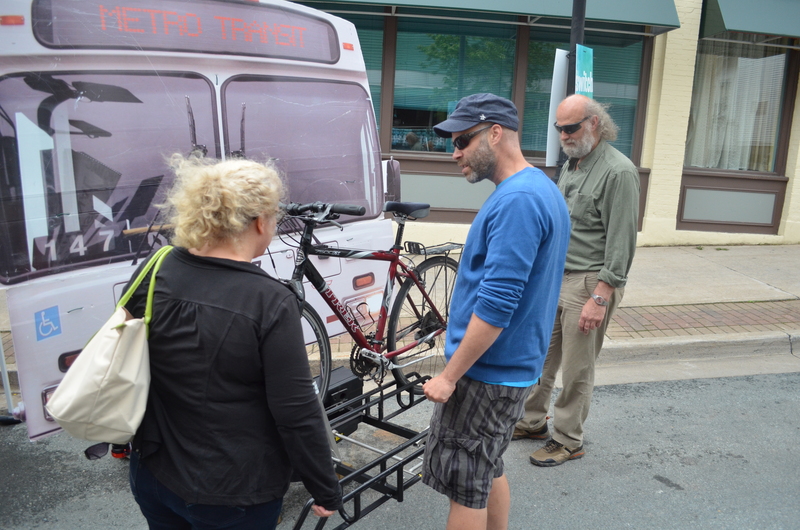 Check out Halifax’s growing network of public bicycle repair stands, which include tools and pumps, and are publicly accessible 24/7. There are also free community repair centres with tools to use and mechanics to answer questions at Bike Again and the Dal Bike Centre. Bike repair leads to dirty hands, and disposable gloves add unnecessary waste to the environment. There is a third option – monthly donors to the Halifax Cycling Coalition receive free flat tire repair from our partner bike shops. Donate now to take advantage of this offer.